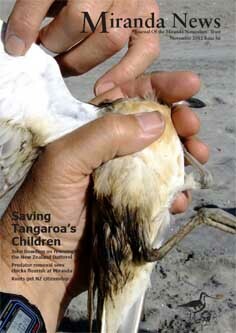 The Pūkorokoro Miranda News is the main publication of the organisation. 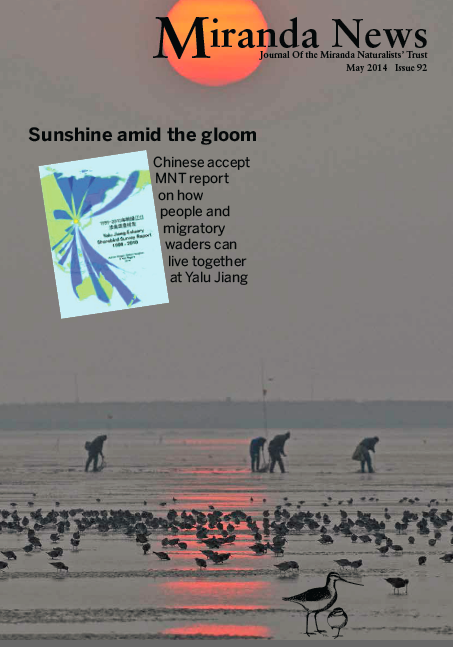 The Trust has also published the Yalu Jiang Estuary Shorebird Survey Report 1999 – 2010. 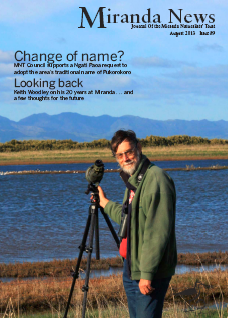 Issues of Pūkorokoro Miranda News will be placed on the internet around six months after publication. 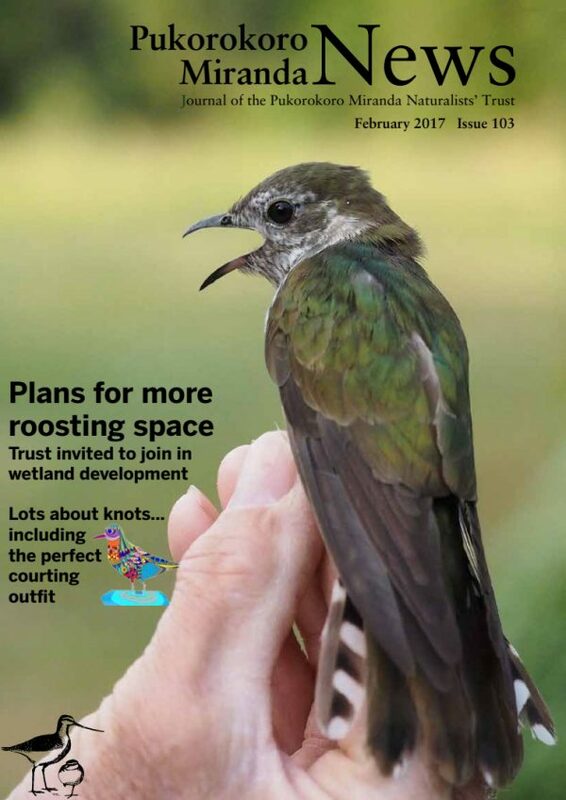 Click on the picture to open the issue. Pūkorokoro Miranda News is published 4 times a year, typically in February, May, August and November. 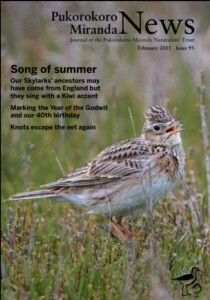 If you have any questions please contact the editor Jim Eagles. New path opens. 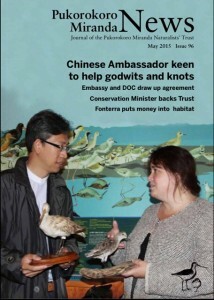 Subspecies of knots. 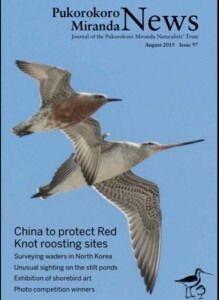 World heritage status in China. 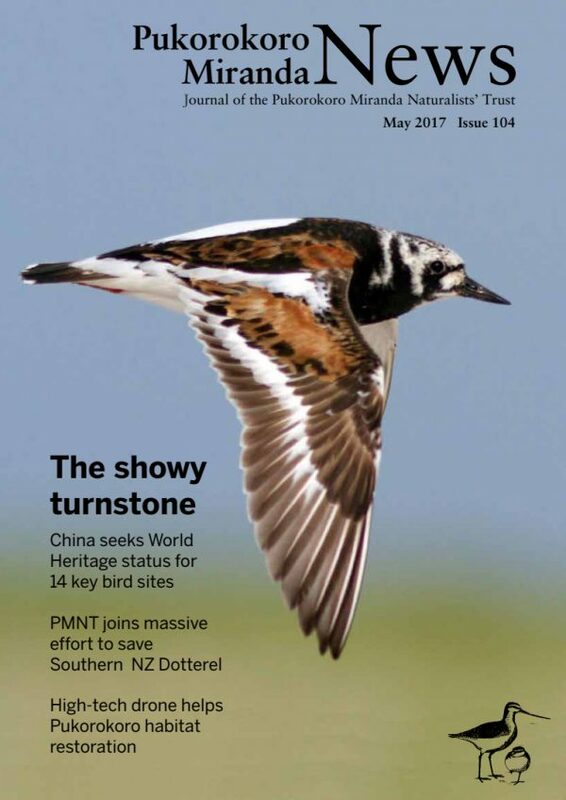 Southern nz dotterel. The Flock in Devonport. 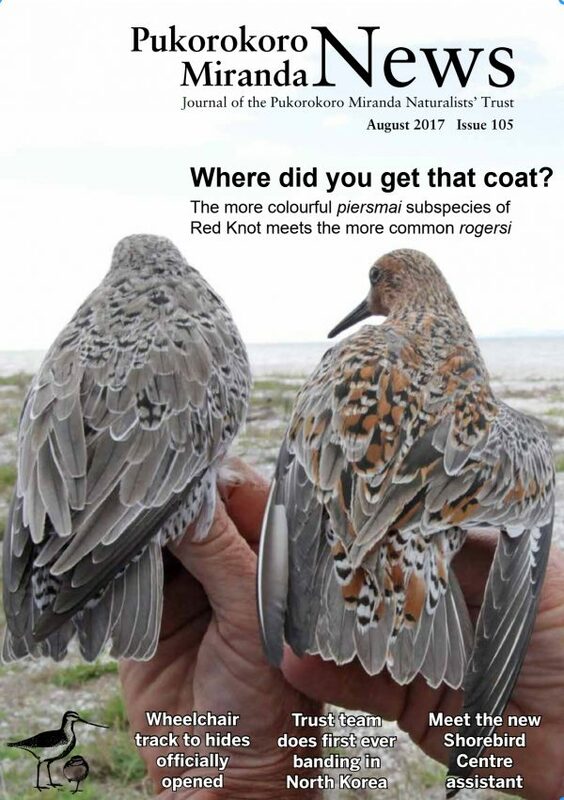 Red knot mysteries. 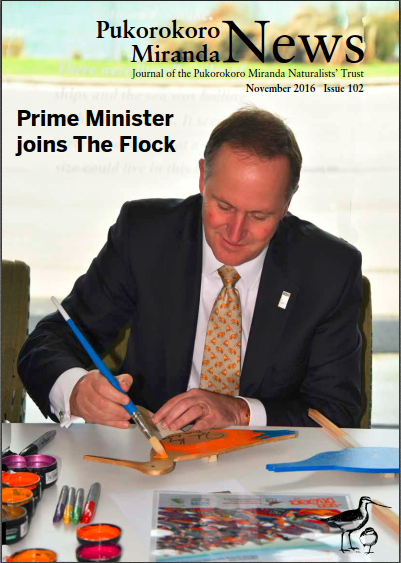 The PM joins the flock. 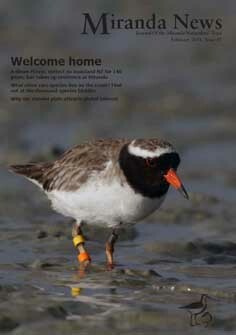 Shoal Bay shorebirds. Bitterns! 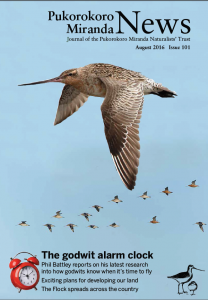 The Godwit Alarm Clock. Skuas visit the shellbank. 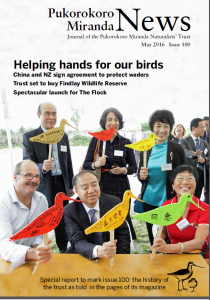 China and New Zealand agree to protect waders. 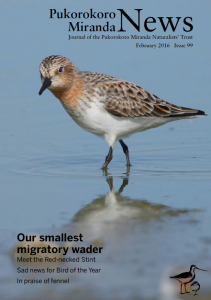 Red-necked stint. PMNT and DoC delegation to China. 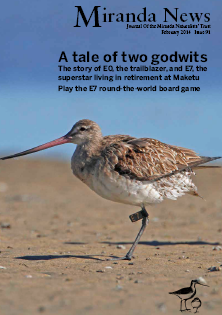 Godwit – Bird of the Year. 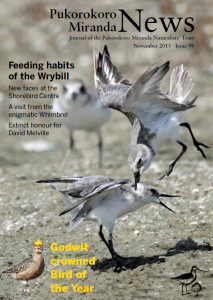 Feeding habits of the Wrybill. 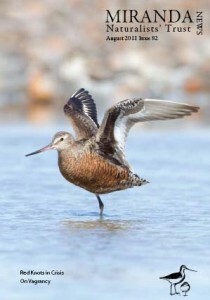 February-15, Year of the Godwit. 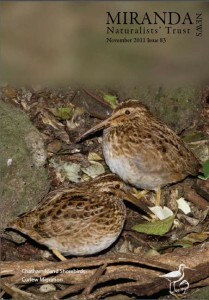 New Zealand Skylarks. 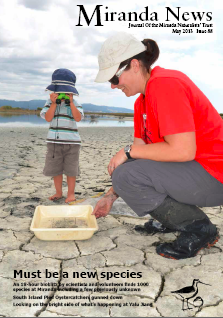 May 2013, THE BIOBLITZ! 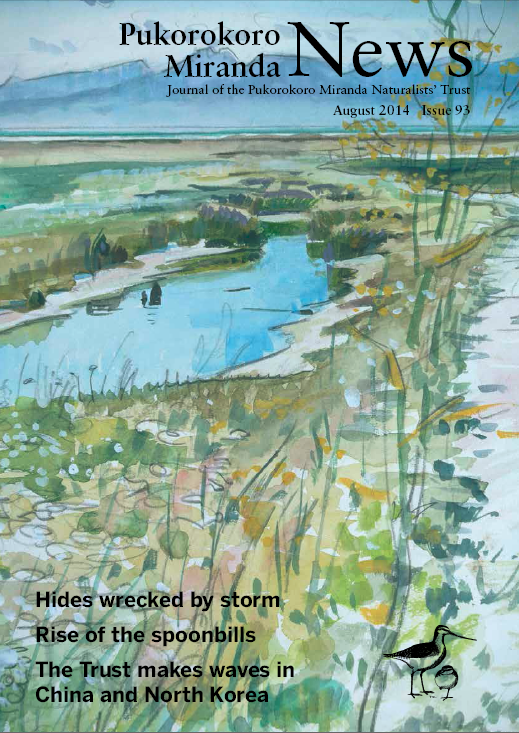 Annual Report and accounts. 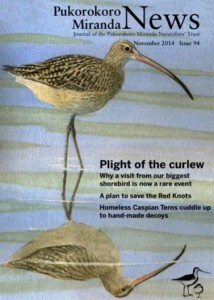 Marsh Sandpiper spotted at Miranda. 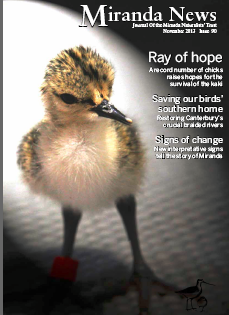 August 2012, What makes a good roost, Wrybills in the Rangitata,New editor!